Marys River Watershed Council’s Spring Forum will feature an exhibit of historical photos and a panel addressing how settlement and commerce shaped Marys River Watershed. Panelists Phil Sollins and Patricia Benner will weave a story about early Marys River industry and agriculture, Marys River as a port community, and how humans shaped the ecological course of our watershed. 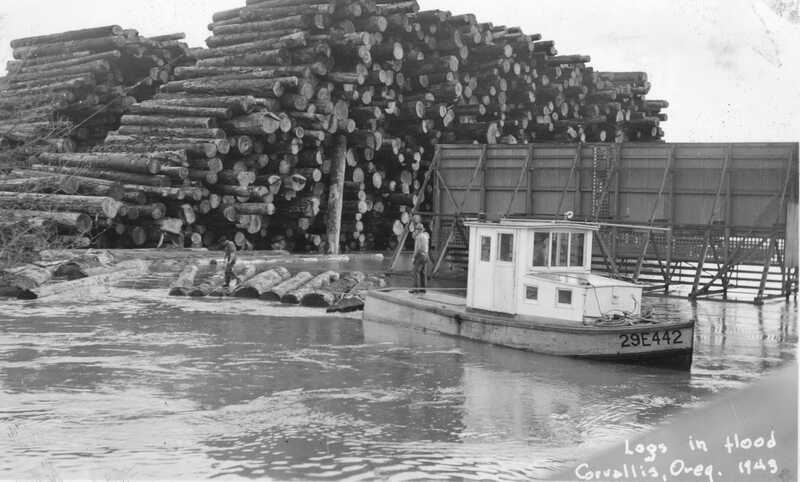 Logs in flood, 1943. Courtesy of Benton County Historical Society.